The ‘Old Grainery’ has become our new Alpaca store. In the early days this log cabin provided shelter to the various harvested grains that were grown on the farm to feed the livestock. After being lovingly restored, it once again houses the farms ‘harvest’, beautiful Alpaca products, exquisite yarns, hand knitted garments, tapestries, rugs and other gift items made from the fleece of award winning, outstanding alpaca’s born and raised here, at Silent Valley Alpaca. Hanne loves to spend time working with alpaca fleeces. 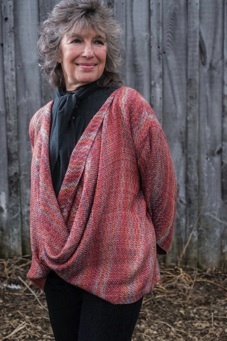 She is passionate about wet felting alpaca and has a number of cowls, scarves and mittens that she has designed and made from our alpacas’ fibre. 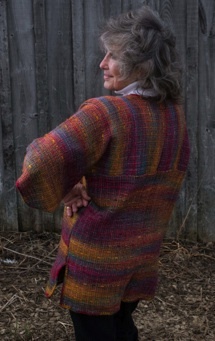 I have been weaving for nearly fifty years, focusing mainly on fabric suitable for clothing. Over the years, the variety of yarns available has increased and improved, giving me the opportunity to experiment with texture and colour. I now use combinations of cotton, linen and silk as well as the newer fibres such as bamboo, soy silk and tencel. Along with wool, which is now available from many different sheep breeds, I use alpaca and mohair. 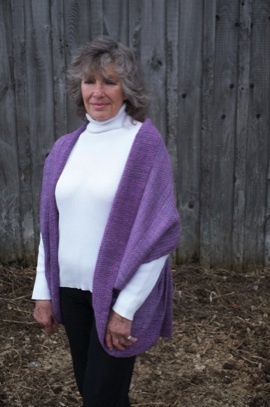 Clothing styles have also changed over the years but I always try to make timeless garments that fit a variety of sizes, whether jackets, vests or shawls. I work from my home studio and have a collection of looms, from a simple four-harness counterbalance to more complex eight-harness looms capable of an infinite variety of patterns. My focus has always been on colour and texture and how to blend them to make garments with good drape, soft feel, and unusual colour combinations. 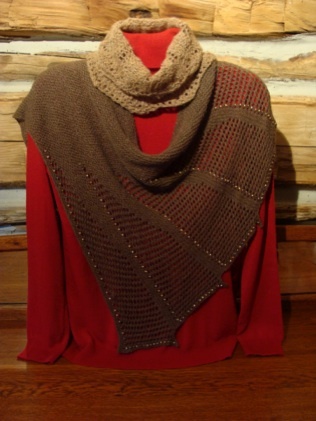 The recent interest in hand-dyed yarns has opened up new possibilities in patterns and colour combinations. This spring, as usual, I have been experimenting with new colours, new patterns and new designs. 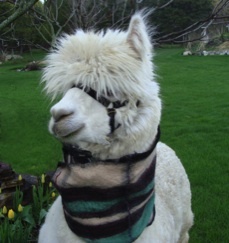 Come and see all of our amazing Alpaca gift items.